ISLAMABAD: Pakistan Army on Wednesday killed five Indian soldiers in retaliatory fire after three people, including a Pakistani serviceman, were martyred in an unprovoked ceasefire violation by Indian troops along the Line of Control. 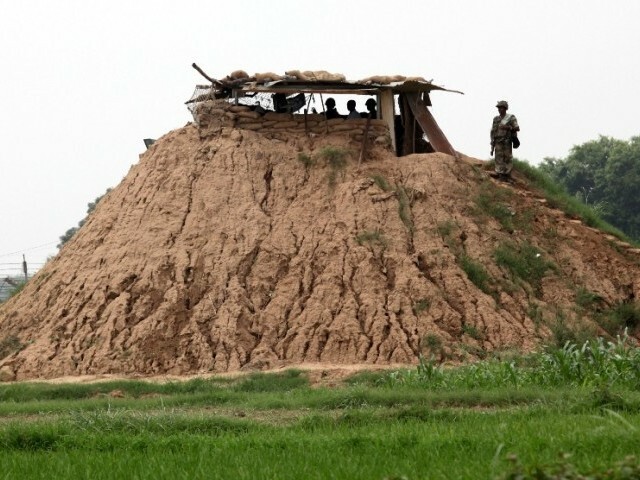 The development came as Pakistan summoned India’s deputy high commissioner to lodge a formal protest over the previous day’s ceasefire violation by Indian forces, which resulted in the death of two civilians and left six others wounded. “Indian [troops carried out] unprovoked firing along the LoC in the Nezapir, Sabzkot and Kayani Sectors, targeting Pakistan Army posts and innocent civilian population. A soldier embraced shahadat (martyrdom) and two [others were] critically injured. Two civilians embraced shahadat and five [others] were wounded,” read a statement issued by Inter-Services Public Relations. “Pakistan Army aggressively responded on Indian posts. Response destroyed Indian posts firing on Pakistani posts and civilians. Five Indian soldiers were killed and many were injured. Indian guns silent due to effective engagement,” the military’s media wing added. “Unprovoked cease fire violations shall always be responded strongly, aggressively and effectively by Pakistan Army,” it quoted ISPR Director General Maj Gen Asif Ghafoor as saying. Meanwhile, a Foreign Office statement said the Director General (SA & SAARC) summoned the Indian deputy high commissioner and condemned the unprovoked ceasefire violations by Indian occupation forces in Baroh and Tandar sectors on 18 July 2017. The firing martyred two civilians – a woman in Baroh Sector and a man in Tandar Sector – and wounded six others. The statement said the deliberate targeting of civilians was indeed deplorable and contrary to human dignity and international human rights and humanitarian laws. The DG SA & SAARC urged the Indian side to respect the 2003 ceasefire arrangement, investigate this and other incidents of ceasefire violations, instruct the Indian forces to respect the ceasefire in letter and spirit, and maintain peace along the LoC. He urged the Indian side to permit UNMOGIP to play its mandated role as per the UN Security Council resolutions. Tensions between the two countries have continued to rise as Pakistan’s Director General Military Operations (DGMO) in recent hotline contact with his Indian counterpart warned that hostilities could explode into major military standoff. He recorded a strong protest over Indian troops’ action targeting the Pakistani Army vehicle travelling along the Neelum River. The vehicle fell into the river after came under attack and as a result of which four Pakistani soldiers lost their lives. Meanwhile, a nine-member delegation of Representatives of All Parties Hurriyat Conference called on the Foreign Affairs Adviser, Sartaj Aziz on Wednesday. The adviser reaffirmed that people and the government of Pakistan stand behind Kashmiris in extending political, diplomatic and moral support to their just struggle. Pakistan continues to pursue its principled position on Jammu and Kashmir and extends its steadfast support to the Kashmiris in their just struggle, as Kashmir cause remains close to the hearts of every Pakistani, he added. The Kashmiri delegation briefed the adviser on the grave human rights situation in IOK, and expressed concern over the policy of genocide being pursued by Indian forces. The delegation underscored that the indigenous movement of Kashmiris for their right to self-determination has entered an important phase since the martyrdom of Burhan Muzaffar Wani on July 8, 2016.